There are a number of reasons a window air conditioning unit is not blowing cold air. From a dirty filter to simply being worn out. So lets take a look at some of the top things to look for when a unit stops blowing cold air into a room. All air conditioner units needs good air flow to work properly. 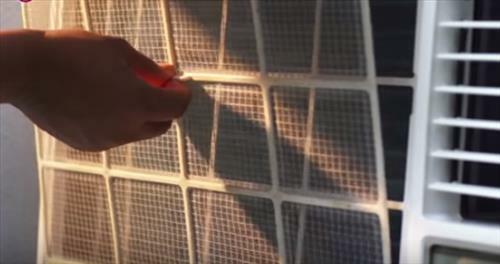 A dirty air filter can block air flow and cause a unit to stop working. The air filter is usually placed inside the front cover and each unit has its own way to replace or clean it. 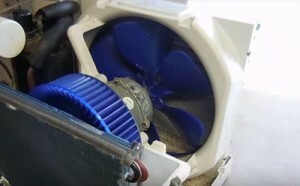 The outside fins are there to dissipate heat as a fan blows air though them much like a radiator in a car. If the fins become clogged they can stop dissipating heat and the unit will stop working. A quick way to fix this is with the unit off use a hose to blow out anything that may be blocking the fins. Be careful not to bend the fins as they are easily bendable and will restrict the air flow if bent. 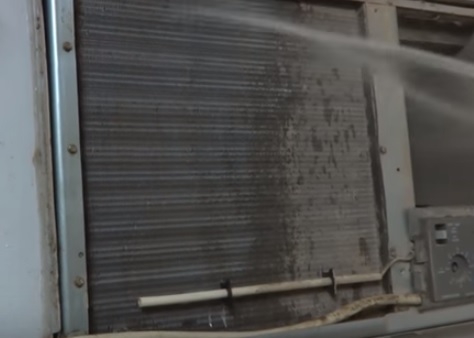 The inside coil can become dirty the same as the outside coil and need to be cleaned. The inside face plate cover will likely have to be removed and will depend on the unit how this is done. Don’t use any chemicals to clean the inside coil as they will smell as they are blown into a room. 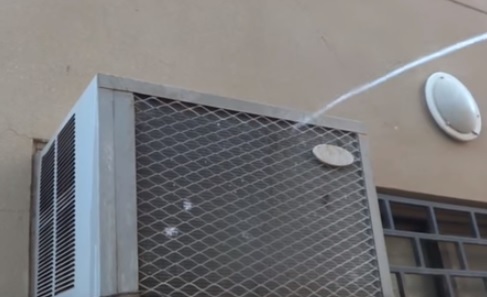 Use plain water and clean the dust or any build up that has occurred. Again be careful not to bend the small fins. Check if the Outside Condenser Fan is Blowing Air. 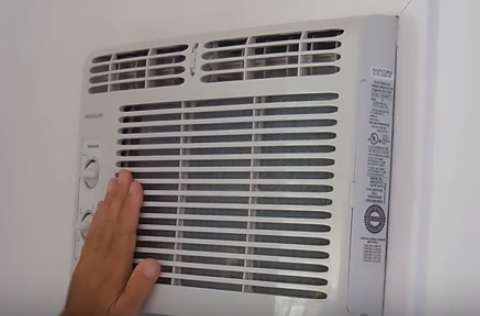 It is easy to tell if the inside fan is blowing but there is also a outside fan that blows hot air away from a unit. If the outside fan stops blowing the unit will not work. Some outside fans work only intermediately and shut off to save energy when not needed. Most Window A/C Units use the same motor to turn the inside and outside blades but they can be separate. 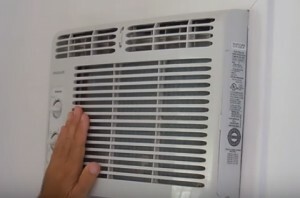 There is no need to open the unit up to see if it is turning as you should be able to feel the air moving past the outside of the unit. Be sure to check the outside fan when the unit is not working which is when it should be on and blowing hot air away. Does the Compressor Turn On? The compressor makes a clunk and noisy buzzing noise when it clicks on. 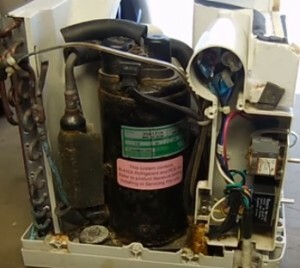 It is basically a pump that cycles the refrigerant throughout a unit. It is usually noticeable if a compressor has gone bad since the noise the unit makes will have changed. This may seem obvious but happens. Check the thermostat on your unit and be sure the temperature is set low enough for it to kick on. Once general maintenance and main components are checked if a unit is still not working than it is likey time to replace it. A professional can be called to fix it but is likely not worth the effort since the cost is usually more than replacing the entire unit with a new more efficient model. There are many affordable options if a new unit is needed click here to see our pick. Does a ac compressor tend to be hot? Or a well working compressor always stay cool? Whats the max temp for a running compressor? My Haier window a/c thermostat was stuck on 84, I cleaned the front and back coils, cleaned the filter and attempted to reset by pressing the reset button nothing helped. The a/c would blow cool air only for a few minutes. I was so frustrated I turned the a/c on and let it run while I cooked in my hot kitchen. The a/c sounded as if it recycled, then started to blow cold air and the thermostat started to work. I guess the combination of heat, steam and my oven caused the room to reach the temperature the thermostat was stuck on. My a/c is working just fine. 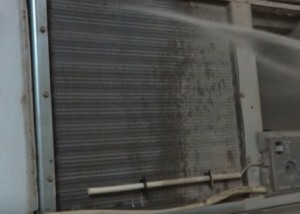 Just clean the fan motor. It’s a little bit of a pain but well worth it. Mine was doing the same thing. I took the motor apart, cleaned the rotor and the stator. Use a wire brush(not to stiff) or you can use aluminum foil – it works great. If it’s a bigger rotor you can use a Dremel or something like it. Just not to stiff on the brush. Then, when they’re clean, a little light weight oil on the rotor and stator. About 5W20, I used a little 2 stroke oil. And then a little on the shaft also. It’ll run like new!! blowing hot air instead of cold! We even paid extra for the warranty!! “Looks like we’ll be forced to get a newer ac!! sEARS won’t be where we’ll buy it though!! Excellent read and even better video. Now I’m comfortable that the humming noise accompanied by fans running should be the fan motor. I of course just mounted and sealed the air conditioner into the window for the summer, so yay that it worked fine for 3 hours and THEN broke. But better than when it’s 90’s all week. My name is Eric. I really enjoyed the video it was well explained with clarity and cleared up questions I wanted to ask Thanks.